Title: So, Do You Want to Go Out, Or? For as long as she’s known, Miwa’s been into women – and now she’s at university, it might finally be time for her to come out of her straight-passing shell. Of course, that takes a lot of confidence, and coming out is never easy – but could Saeko, her trashy popular weirdo of a friend, give her the help she needs – or just maybe, could the two of them be more alike than Miwa realises…?! Fujishiro Nanaki, beautiful and attractive, is a popular girl at school. Her classmate is the plain-looking Kurokawa Kanade. For Fujishiro Nanaki, who always wants to be cuter than anyone, Kurokawa Kanade’s existence is nothing but an eyesore to her. This one feels a lot like Girl Friends at times, but it adds some more drama early on, as well as a more complex kind of love story. I’m actually not even sure if we can call this a love story yet, seeing that the two of them started out as bully and victim and now just became friends for some questionable reasons. Seeing how Nanaki gradually starts liking Kanade more, it’s definitely moving into the right direction. Tanaka Iori is a worker for a company that sets unreasonable demands, on top of that she has a penchant for dating married men. What a recipe for disaster! One day she gets drunk with an acquaintance and wakes up the next morning by her side naked! What’s Iori to do? This is a rather fast-paced story that may put the main focus on the relationship between the two girls but has a lot to tell aside from this, too. I think its main charm is the fact that the story “runs” along at this fast pace, as well as the fact that, for once, we’re dealing with adults and not high school students. I still can’t believe how few bigger stories like that are around, compared to the high school counterpart. Anyway, be prepared to face some chapters that depict abuse. If you’re not ready for this, better pick something else. This entry was posted in Manga, Recommendations, Yuri and tagged A Love Letter from the Marching Puppy, Ajiichi, Amano Shuninta, Fusoroi no Renri, Haruzo, Mikanuji, Tamasaki Tama, tmfly, Touko-san Can't Take Care of the House, Touma-kun, Useless Princesses by Lena K.. Bookmark the permalink. This feature would be great if you covered manga not on recents at Dynasty (I assume everyone into Yuri reads there) and cover some series not scanlated yet etc. Try using Yurinavi? I would actually love to feature more and have more diversity too, though, I don’t speak Japanese, so this would be pretty hard. Our average visitors I would say also don’t speak the language and since this is a post telling people what they might want to try reading next, I think I shouldn’t list anything that’s not in English. Thanks Lena! As always, very useful information. I’m always struggling to find something new to read, because I’m very fast reader. It is bad enough with books, but with things like manga it is even worse. So your insight is very appreciated Thanks. I have a very important question for your shade. It will determine what kind of person you really are, reveal your true face and unfold all your deepest and darkest secrets. From their first encounter together you couldn’t help but chuckle at the back and forth between the two with Kagami’s roughness and the disarming nature of Shinobu. In fact I can’t help but notice how much Kagami resembles Eli form LL (I think I can guess now which of the two you lean towards 😉 ). Whether Kagami had a relationship with Shinobu’s mom isn’t clear, but I myself kind of doubt it, I think she just had a crush on her, and in a way it carries over to how she feels about Shinobu now. This posts always appear just when I think I’ve read them all, this recommendations are much appreciated! I’m already following So, Do You Want to Go Out, Or?, Touma-kun and Useless Princesses. While all 3 are great stories I think Useless Princesses nudges ahead for me. Stories of plain ordinary people catching the hearts of beautiful, popular girls has always been a favorite trope for me, maybe because I am so plain myself. 😛 Amano Shuninta’s work is always great stuff and Touma-kun doesnt disappoint. As you said I can’t wait to see what happens with the next girl Touma interacts with, the trippy way things turn out for the girls after they interact with her is always cute. Fusoroi no Renri is a story I plan to get into more later but I have skimmed through a few chapters already. Stories involving a women being abused always gets my blood boiling though so I guess I may have to steel myself for that with this one. 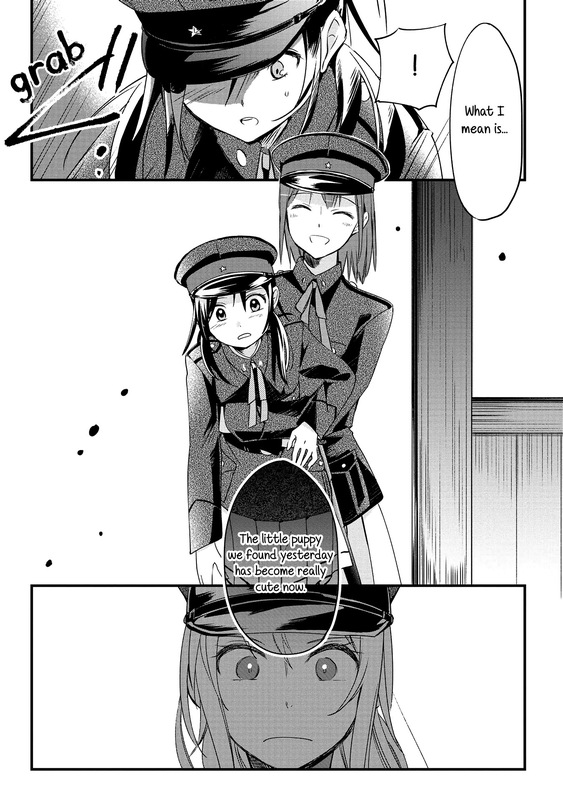 The abuse in Fusori no Renri is not a constant theme and I think it’s only depicted shortly in like 2 chapters – it’s pretty easy to skip too. Marching Puppy and Useless Princess are my favourites on there. I’m also enjoying Mage & Demon Queen, it’s light hearted and fun! Same. Marching Puppy has that adventure feeling, while Useless Princesses is just doing some really interesting things with the tropes we all know already. It really challenges its characters. It doesn’t shy away from presenting them with flaws that, but in a way that I can still root for them to become better people. I also just really appreciate yuri romance where the main conflict isn’t just about “but we’re both girls” – fortunately there are more and more stories like that these days. This is a bit late but I want to thank you for highlighting some of the best new yuri manga of 2018. Useless Princesses hasn’t gotten nearly enough attention, though I’d like to think that it just hasn’t found the right audience yet. Marching Puppy and So, Do You Want to Go Out, Or? are also promising – though they’re fairly early in their development, they are worth keeping an eye on. I also wonder why Useless Princesses isn’t getting the attention it deserves. It’s easily one of the best ones out there right now. Chapter 8 of Useless Princesses came out a week or so ago, and its my favorite chapter so far. It is definitely one of my favorite Yuri mangas that is recently new. Although I do love the manga A Tropical Fish Yearns for Snow. You should check it out if you already haven’t. Oh, wow! SDYWGO has some really authentically written characters. Thanks for that recommendation! I’m also intrigued in the direction Useless Princesses is taking. Very over the top fluffy in a sincere way.